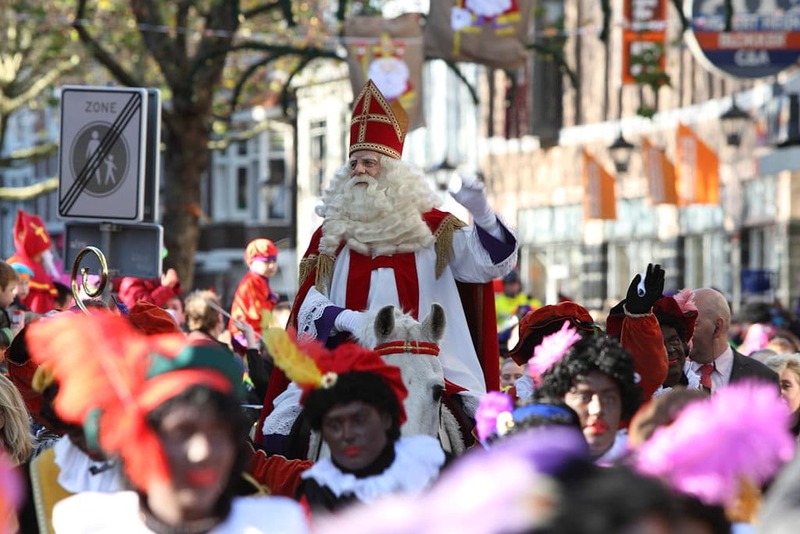 Sinterklaas Arrives in the Netherlands: When will the Sint be visiting your hometown? It’s that time of year again! Sinterklaas arrives soon, meaning Christmas is well and truly on its way in the Netherlands. ‘Sinterklaas Season’ is when Sint and his Zwarte Piet’s travel to different cities to greet the locals. Sinterklaas is coming! What’s happening then? There’s usually a parade with huge floats, brass bands, cycling clowns and the like, but we can’t avoid talking about the controversy that comes with it all too. We all know about the Zwarte Piet debate. 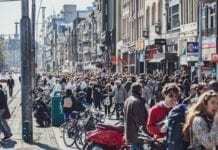 It’s no secret that some people will be eagerly waiting in line to catch a glimpse of the man himself when he arrives, whilst others will certainly not be shaking the hand of Sinterklaas. He will be ‘arriving’ on the 17th, 18th and 24th November. Whether you’re for it or against it, read on to know when he’ll be coming to your city. This year the ‘official’ arrival of Sinterklaas – the televised version on NPO 3 and NTR – will be hosted by Zaanstad. He will arrive in the city around 12pm on Saturday! If you don’t want to miss him, why not plan to have lunch in the town centre? Or you can find him afterwards in the (super pretty and super Dutch) Zaanse Schans neighbourhood, which he’ll visit later. Zaanstad will also be hosting a Sinterklaas party on 24th November, so clear your calendar if you want to get on down to a festive boogie. There’ll be a show at 12.30pm at Willemsplein, and then the parade will make its way through town. The oldest city in the Netherlands will greet Sinterklaas with all kinds of children’s festivities. At 1pm he’ll arrive on the Waalkade (near the Labyrint). 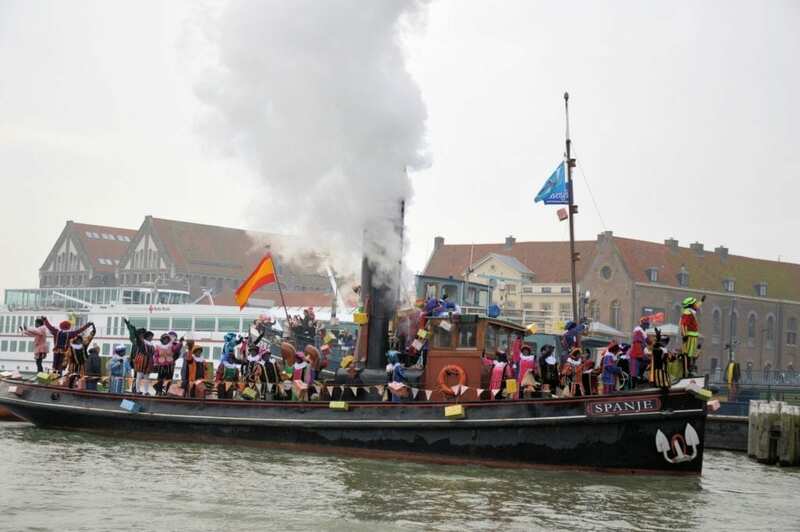 Sinterklaas and his Pieten will arrive at 1pm, but from 11.30am families are welcome at Kanaaldijk-Noord to witness him sailing across the Eindhovens Kanaal. The Amstel River is the perfect place for Sinterklaas to arrive at 10am. Since this the capital city, he’ll ride his house Amerigo through the streets before the parade. 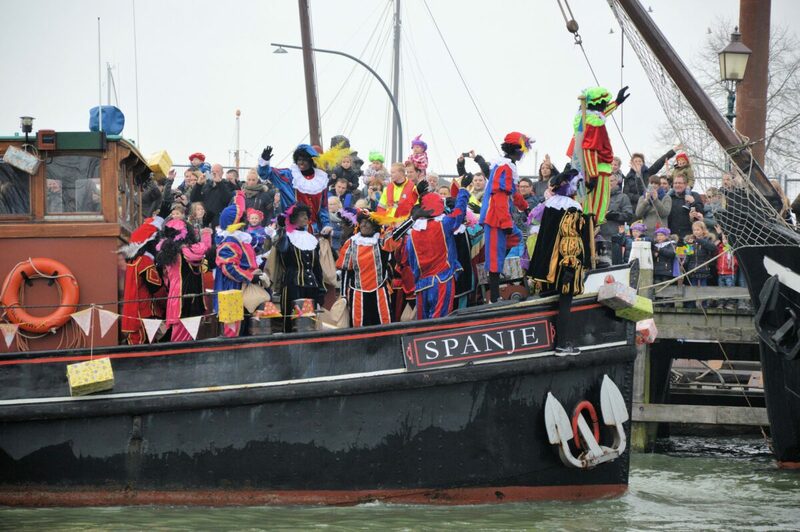 From 10:30am parents and children will gather at Scheveningen harbour to see Sinterklaas sailing towards the Hague, until his arrival at 11:30am. 11:30am start in Utrecht also! See him at arrive at Weerdsluis. As usual, there will be a procession thoughout the city, culminating in a children’s event at Domplein. At 12pm, he will arrive at the Beestenmarkt. 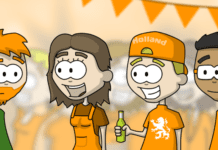 Events – such as a Meet & Greet with Sint & Pieten, Games, DJ-Piet and Danspieten – will take place at the Hooglandse Kerkgracht. If you want to catch Sinterklaas’ arrival, head to the Oostsingel before 12:45pm! You can follow Sint to the market afterwards. Unless you’ve just arrived in the Netherlands, you should know about the ‘Black Pete debate’. There were also many debates in 2018 regarding the controversy around Zwarte Piet. The Dutch still can’t seem to decide whether or not Zwarte Piet is a racist character. While many foreigners find the whole idea of Black Pete quite racist, the debate always gets heated around this time of year and people love taking part in the discussion. Although it seemed that the whole drama ended with the introduction of Soot Piet, things have taken a dramatic turn once again. The court of Haarlem ruled on Wednesday that the appearance of Zwarte Piet in the national arrival of Sinterklaas in Zaandam does not have to be adjusted further. 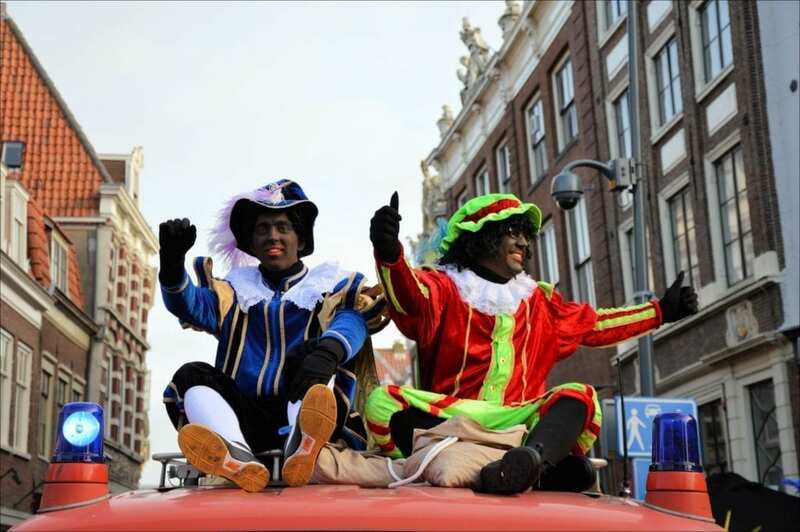 Citizens had initially demanded that all Zwarte Pieten participating in the national arrival be stripped of stereotypical characteristics and behaviors, which they consider to be racist. This includes not wearing makeup to change their skin color, not wearing gold earrings and not having red lips. However, with the new court decision, this year we’ll be seeing both Soot Pieten and Zwarte Pieten during the celebrations. It’s unclear at the moment if there will be any protests at the arrivals. How do you feel about Sinterklaas and Zwarte Piet? Will you be joining in the celebrations? Please let us know your perspective in the comments section. 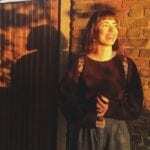 Previous articleThe uncertainty of Brexit: What the hell is up with that? Next articleMarkets, Festivals and all the other amazing 2018 Christmas Events in the Netherlands!